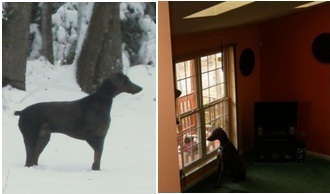 MY DOG LEADS TWO LIVES What you've stumbled upon is one of the most unique and exciting canine stories you'll ever be told. Omar Blue is his name. A 120 lb. 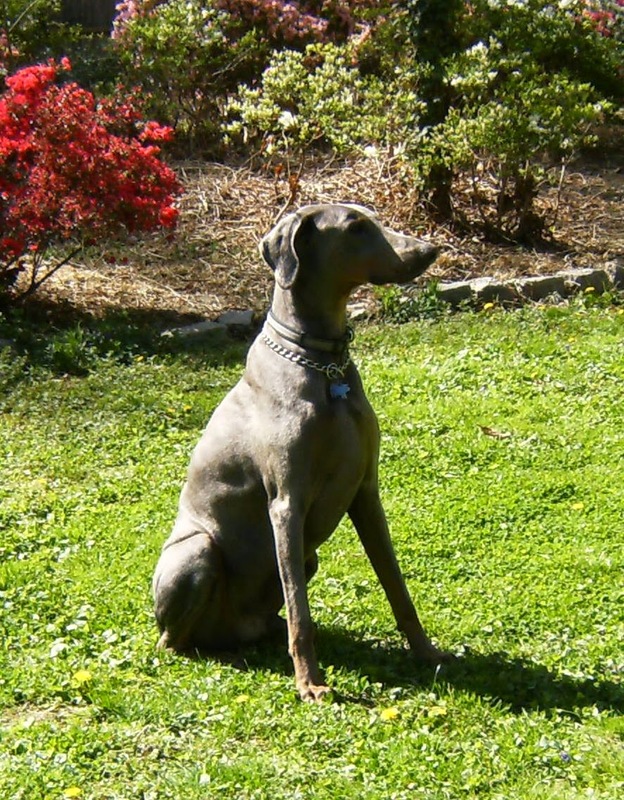 blue Doberman. He lives at home with me, part of the time. 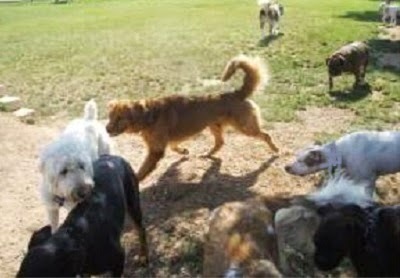 Other times, he goes off to a town he and his fierce pack of canine followers have founded and named K9 Town, USA. Join Omar Blue and his Pack. Become a part of their fantastic, mystical journey. Welcome! I've learned not to worry. I know he'll be back. Here's Omar. Outside earlier, making sure the yard was looking good. He's having some of his dobe friends over tonight. He's been acting strange since I told him about BiggSiss. He understands that women need BiggSiss.com, their Cyber Confidant. There is a need for women to share detailed, personal information that can assist law enforcement in crisis situations involving them. Gathering much needed information is a challenging undertaking. A confidential repository is a must. Enter BiggSiss! Sounds like a lot but Omar Blue is very smart. Still, he is thinking he can protect me better than anything else. It's seems his friends think the same way. He says BiggSiss.com needs them. He's right, we always need our furry buddies. I told him it's okay to be watchful, but no aggression. He understands and he's going to explain everything to his friends. Maybe I'd better be there for this. I'll make them understand. One of his friends dropped by a while ago. That handsome devil, Kapone. He's in charge of getting the others here. Omar says some of them live pretty far away but Kapone will get them here. It's easy when they travel through Facebook, he says. In the meantime, we've had dogs in and out all day. He's telling them all about BiggSiss. This group were from around the neighborhood. It was getting dark. The dobermans had arrived and the meeting got started. I could hear Omar. I had some snacks for them. That was my excuse, but I was really going out there to make sure they were on the right track. As I got closer to their meeting place, I got my first surprise. Nitro and Saifon Blue! King and Queen of Iron Dog Land and Omar Blue's canine mom and dad were out there. Not saying a word, but listening to everything Omar said. Those two have a way of knowing whenever Omar is giving something a lot of thought and they never fail to visit to make sure he's okay. Evidently they were satisfied because they were leaving as I walked up. They even gave me a little nod. I'm sure the rest of his family weren't far behind. They always travel in big packs. All was well so they had no reason to interfere, thank goodness. Now for my second surprise. Look what I walked up on! What was I going to say to this group. Nothing at all! I put the snacks down, said hi to Kapone and got away as quick as I could. I didn't know the others but I could tell they were serious as they listened to Omar tell what a big job BiggSiss had and how they could help. They later vowed to do all they could to keep women safe﻿. 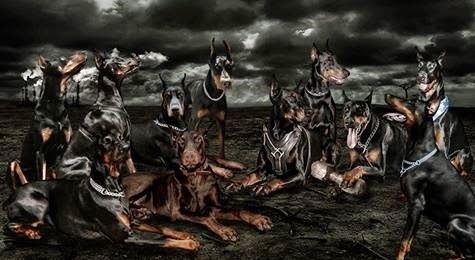 It looks like we have some powerful partners, ready to do what Dobermans do best. Spread the word, and Protect. How can BiggSiss.com fail with this additional determination. It can't!! 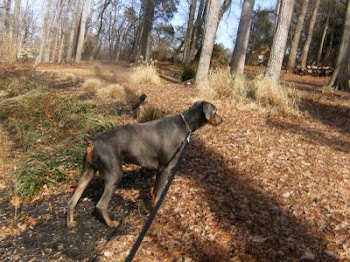 My very special thanks to Fredo Ramirez for letting his prize Doberman Kapone again participate in Omar Blue's "true tales." 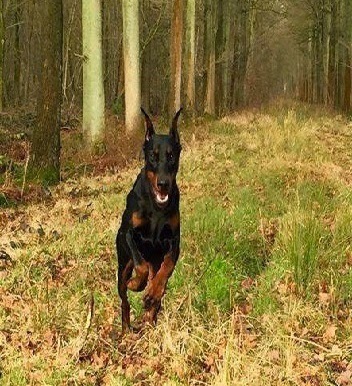 And also thanks very much to Ivan Candreca whose great picture of those wonderful Dobermans is one of the best I've ever seen. Can't tell you how happy I am right now. I hope this is a sign of things to come. The reviews hit my story on the mark. See what's being said and if you want a good, quick read, to take you into the world of fantasy that I've conjured up for you, now is the time to get it. I've shared excerpts but believe me, I saved the best chapters. The adventures of Omar Blue and his wilderness pack. An exciting experience you won't want to end. Be a good friend. Share this site. Pitbull Margie, her mate Sammy and their pups are leading citizens of K-9 Town, USA. 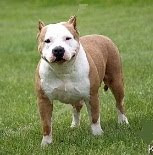 Though Pits generally weigh between 35 and 55 lbs., it's not unheard of, though rare, for one to weigh as much as 100 lbs. like our Margie here. She loves gathering with the other females or watching all the puppies while they play. Hearing that his despised enemy, The Ghost, is now a member of Doberman Omar Blue’s pack, Timber Wolf Shocka Din, self -proclaimed King of Canines, and his vicious followers head for peace loving K-9 Town, planning to disrupt and take over. Family entertainment. A Truly Fun Read, July 9, 2013. By Sarah Mazor, MazorBooks. 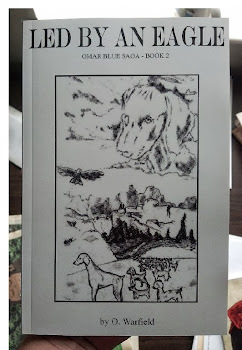 This review is from: Led By An Eagle (Omar Blue Saga) (Kindle Edition) In "Led by an Eagle" author O. Warfield creates a world full of dynamic multi-dimensional canine and feline characters, whose inevitable interaction is a classic good vs. evil, but with a twist. The two groups that are pit against each other are the peace-loving community of dogs from K-9 Town, USA and the vicious mountain lions whose most cherished desire is to destroy Omar Blue, the dogs' leader, and his entire pack. 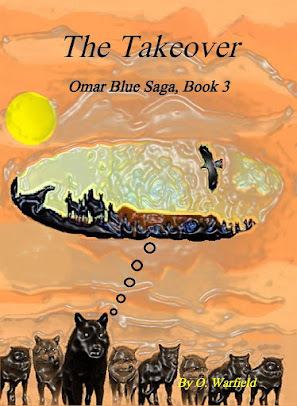 The adventures of the dog pack as they confront and overcome danger on their way to meet Omar Blue's kin, with some surprise unexpected help, is recounted in flowing and entertaining rhymes. A real fun read. Led By An Eagle now available at Kindle e-books. We can tell. Penny the Springer Spaniel and K-9 Town messenger came in running very fast this time.They look very serious. I just can't say enough about the handsome Professor Brady. He's a big force in K-9 Town. Kind, loving and gentle, which is why he loves being the K-9 Town Professor, but respected by the pack's enemies as one of the most ferocious members of Omar Blue's pack, and that's saying a lot. The puppies love him back and are the first to tell puppy newcomers that "Professor Brady don't play." Rottweiler Brady is very content now, especially since he married poodle Sophie Jean his schoolmarm. It was love at first sight for both of them. I'm so glad he's with my Omar Blue in K-9 Town, USA. OMAR AND SOME OF HIS PACK. Take a look. The Leonbergers love being in Omar Blue's pack. They've never been happier. Lab-Dalmatian Major Diggs (second in charge at K-9 Town) and Standard Poodle Sophie Jean the schoolmarm and Rottweiler Brady's wife wanted to see what they call Omar's "people home." We put on collars, leads, and took them for a long walk. They liked it okay but we could tell they were ready to go back to their home after just a little while. Professor Brady didn't want to come but he knew Sophie was in the best of paws, between Omar and the Major. Omar doesn't take chances with his pack. 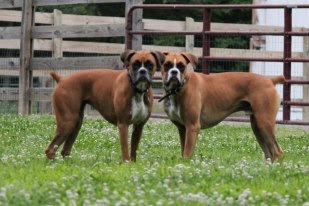 I could swear I saw the Rodesian Ridgeback bodyguards Koffee and Tee when they all were headed back to K-9 Town. I certainly wouldn't want to tackle that group. Ever wonder how Penny got Omar to let her be the K-9 Town messenger. Well, she's unaware that Koffee and Tee are never far behind her. Talk about bodyguards, are these two something, or what. Their breed originated in Southern Rhodesia, South Africa. They are ferocious hunters but there is also a calm and gentleness about them. Some call them African Lion Hounds. Just look at those muscles. Not sure about these two but I know they can weigh up to about 90 pounds. Omar's pack is so fascinating. Isn't it something how they take care of each other. I was talking to friends about Omar Blue's home away from home. I know my story is one of a kind and hard to believe. I had a hard time finding my picture, but I did. Everyone knows a picture is worth a thousand words. So I ask them, "Do you believe me now?" Look closely, some of the pack are still inside cooling it. Had to contact New Book Journal again. They are always willing to help get the word out. R. K. Alan, thank you. Daughter Joy and I have a dilemma. Gotta find a way..... Maybe you can help. With the holidays coming, we're gearing up, not giving up. No way. 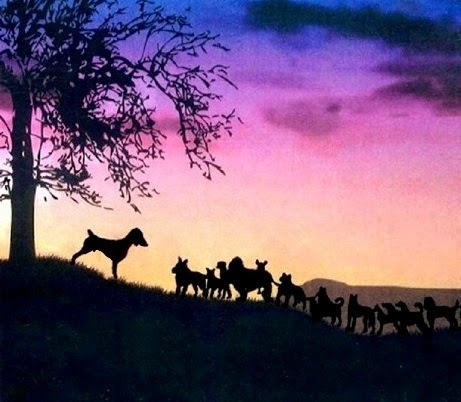 People over there have also heard about Omar and his Pack's next adventure, Led By An Eagle. Going to meet Omar's "biological" kin. Some of their furry friends have already left home to join the Pack. Seems family and friends of Omar's followers want to join the adventure. I'm getting my stories together for the people parents. Somehow they always end up at my door. I'm taking pictures of the dogs that come through here to show you all. Big ones, little ones, mixed breeds, rare breeds, they're all the same at K-9 Town. I even noticed a few rough looking street urchins. Omar says don't worry, they know the rules and they won't be going back now that they've found us, they'll be fine. Showdogs Scarlett and Casper couldn't wait to get here along with a few others. Oh boy! I haven't seen them since the last wild K-9 Town party. Don't want to say "that" word too loud. Paperback will be available from Amazon and other purchasing sources within the next week. Exceptional Reading! What an Adventure! Omar Blue and K-9 Town, leaves the reader with the unforgettable experience of having met a wonderland of characters. The talent was truly revealed upon my discovery that the breeds truly exist! With mounting adventure, O. Warfield skillfully teaches and encourages, while enticing the reader to willfully become a citizen of K-9 Town. Children will be entertained for hours. A fantastic read for the young and mature! Omar Blue and K-9 Town, USA - I have to say that when I saw the book - slim in size I thought at first it was going to be detailed with facts about dogs, so thankfully it was short and to the point. I never ruffled through the book to get a glimpse of what my eyes were about to enjoy. I took it to my desk and planned to take a sneak peak. After the 3rd page I was hooked. Literally I could not put the book down - the stories are delightful, and I felt like I was right in the middle of action with the K-9's. Darn the phone is ringing - put the book down - great wrong number - back to the stories. Before I knew it I was on chapter 8, and I decided I to stop reading so that I could savor the rest of the book on a slower pace. The author made this a fun, easy to read book, and the problems presented, along with the way they were solved relate to life - trusting, leadership, teamwork, diversity and so much more. Its a great book for any age bracket. I think each age group will relate to it differently based on their own unique set of challenges. Although I could have read this little book in one sitting, I took my time. 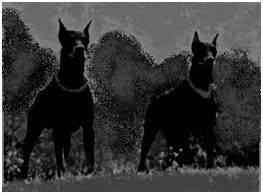 During each reading, I found myself engrossed in the lives of the denizens of K-9 Town, USA and became completely absorbed. It is delightful and very relaxing, and appropriate for children and adults, alike. Kudos to Ms. Warfield. What a fun and clever book. I recommend it highly. I'm very proud that one of Amazon's top reviewers gave Omar Blue and K-9 Town, USA a very good review. 4 Stars out of 5 ain't bad at all. I understand his only criticism and guess I have to agree. I'm not saying what it is. See for yourself. That will come, but for now I'm pretty happy. He even mentioned it could be the next best seller in its genre. That's good stuff! Visit the link I've supplied below and see what else "Wulfstan" has to say about Omar Blue and K-9 Town, USA. Omar Blue got his own Facebook page for Christmas. Now he's running around making new friends and inviting them to K9 Town. I told him to make as many friends as he wants but don't involve me the next time him and his pack have one of their "events." See the cute pictures. I have to admit, I'm proud of him. K-9 TOWN VIDEO TRAILER - KOOL! We went over to YouTube. Omar is getting that look again. He's ready to be with his pack. I know they want him back at K-9 Town too. Take a look at our first video trailer. Click on Omar's picture. Enjoy! These two beauties had a ball making new friends and meeting Santa Claus at the Christmas Party. They're just getting home. Bella and Buster intend to visit K9 Town often. People parents Cheryl and James may have to get one of my Don't Worry About A Thing Rum Cakes. The Christmas Party may be over but the adventure continues in "Led By An Eagle." Click on the above picture and let Bell and Buster take you to it. Penny's back with a message from the K-9 Town males. Omar says it was nothing to worry about. This time I believe him. I could swear he and Penny were laughing. He says the males are whooping it up at K-9 Town and want their leader with them. Seems things are changing since Ms. Bee Bee's arrival and they ain't havin it. Penny was rushing to get back. What are those females up to? We'll see. That little Springer Spaniel Penny is so carefree. I'm glad Omar has Rhodesian Ridgebacks Koffe and Tea following her. Look further down the page. See them. I explained to Omar that Ask David is a product review site. Everyone's review gets published so if someone, such as you or me, have found a product we like or don't like, we can voice our opinion, good, bad or (I don't know how "ugly" yet, ha, ha.) Our book, Omar Blue and K-9 Town, USA is now in the Featured Books & Authors section. They're saying plenty about us over there and giving the lowdown on thousands of other products. Very interesting. I hope our friends and visitors will see us over there too. It's an easy way to research before spending money. http://askdavid.com/reviews/book/dogs/1666 or just click on Omar's image to go over. He won't care. As you can see he's already on his way to K-9 Town to tell his pack. Omarrrrrr! Intertwine is here and is FREE on smashwords! Features multiple writers from various genres, including me!! Happy reading. Executive assistant, author, poet. O. Warfield lives with her loving husband and has one adult daughter who feels like her mother when it comes to putting smiles on the faces of children and adults. O. and Joy plan to take her book, Omar Blue and K-9 Town, USA into hospitals, residences and other facilities that cater to children and adults with special needs. They have developed an exciting program to go along with their reading of this delightful book. For several years entertaining and coordinating special events and fundraising activities for groups with special needs has been a high priority for family and friends. At age --, O. Warfield feels her life gets more exciting every day. Be sure to visit us again soon.